“First comprehensive survey shows 180,000 false insurance claims in 2013 and suggests £2bn of undetected fraud each year. Many Britons appear to take the view that honesty is not the best policy when it comes to taking out car insurance. Industry figures showed firms are uncovering almost 3,500 fraudulent applications each week. The Association of British Insurers (ABI) revealed that in 2013, UK insurers detected 180,675 attempted fraudulent applications for motor insurance – equivalent to 495 a day. These cases involve motorists lying about, or knowingly failing to disclose, important information such as previous claims or unspent motoring convictions when asked. This is the first time the association has collected information on the extent of fraudulent car insurance applications, so it was unable to say how 2013 compared with previous years. The ABI said the problem was that “some people think that being less than honest is the way to get cheaper cover, when the way to get the best deal is to play it straight with the insurer”. A combination of factors including the challenging economic climate, increases in the costs associated with owning and running a car, the fact that many people see it as a victimless crime and a lack of effective deterrents are all seen as helping to drive up the number of cases of insurance fraud. In turn, fraudulent applications and claims push up the cost of premiums for the majority of honest consumers, according to the industry. 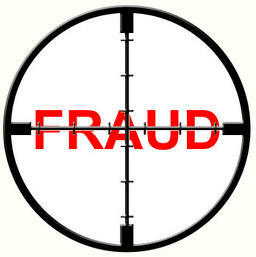 It is said that more than £2.1bn of undetected insurance fraud is committed every year. An ABI spokesman said initiatives such as the Insurance Fraud Register – the first industry-wide database of known insurance fraudsters, which went live at the end of 2013 – and the soon-to-be-available MyLicence initiative, which is aimed at tackling the non-disclosure of motoring offences, would make it harder for people to use deception to try to obtain cheaper motor cover.